Lots of great work is being done at the neighbourhood level through ventures such as community houses and farmers markets. The aim of this page is to describe how they operate, what works well for them (and what doesn’t), and lessons they’ve learned while running their ‘business’. At the moment there are only a few studies to read but we’re gradually compiling more. If you see something that interests you, please get in touch. We believe that the people who run ventures like the ones described here need to work together, so we can learn from one another, share stories, and build a stronger food security coalition across Tasmania. 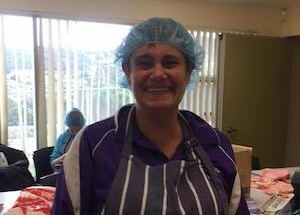 More of an opinion piece than a case study, this article was written after a visit to Waterbridge, a ‘food pantry’ at Gagebrook in southern Tasmania. The operation makes and sells raw and value-added food at extraordinarily low prices, which they can afford to do thanks to the army of volunteers who chip in to help. But Waterbridge’s beneficiaries aren’t just the customers. The volunteers who run the show – the cooks, the staff who serve behind the counter, and those who look after the day-to-day operations – have arguably gained the most, through a renewed sense of community and a great network of friends. 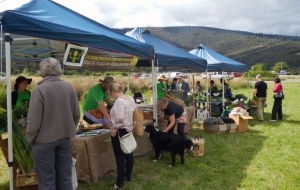 To address the fact that access to affordable food in the Huon Valley was limited, local growers got together and began work on improving the food supply chain throughout the region. They employed a coordinator to establish new systems and explore sales opportunities, set up communication channels, and began cross promoting with complementary ventures. Access to healthy food is limited in Launceston’s northern suburbs, with few shops selling affordable healthy food and access difficult for people without a car. 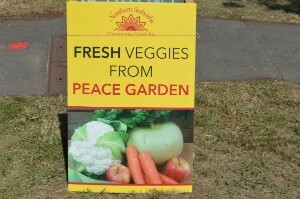 A specially-appointed project officer researched the full extent of the problem and how best to address it, and the Peace Garden now offers food box deliveries with an online ordering system.